Young, Hip and Conservative: a skeptical blog: Where will lottery profits come from? Where will lottery profits come from? Stop the presses - it looks like Maine is going to be getting in on another multi-state lottery game after yesterday's unanimous approval by the Legislative Appropriations Committee. 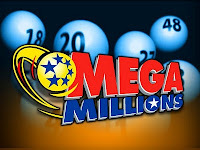 "[Senator Bill] Diamond said the hope is to start the Mega Millions game in May so some revenue is gained in the current budget year. He said that while the move does not generate a lot of revenue — about $1.5 million in its first full year of operation — it will help as the panel tries to finish work on the budget this month." Usually the word "revenue" is a code for taxes, but in this case it really can be thought of as the state making a profit. The only problem is that number will not be as high as $1.5 million. Apparently, our elected representatives think Mainers are burning bales of money on a regular basis, and offering this lottery will convince us to burn $1.5 million less. Dan Gwadosky, the state lottery director, gets partial credit for saying the lottery sales will "cannibalize" some existing state gambling profits, like scratch tickets and the state Megabucks lottery. What he failed to mention is that this $1.5 million was not really going to be set on fire, but would have been spent on other things - like restaurant meals, new tires or bottles of maple syrup. The state would have collected some of that money in the form of sales tax. Some of it would have gone out of state - to Amazon.com or maybe a bed and breakfast in Connecticut. It doesn't matter exactly what it would have been spent on; we could expect some of it to return in the form of slightly-wealthier tourists. While I support legalizing gambling and realize a lot of that $1.5 million would come from poor people who aren't good at calculating the odds, my real concern is the slopping arithmetic. Resources are simply being displaced, not created. We will see state jobs created at the expense of private jobs. We will see the lottery sales go up at the cost of the other sectors of the economy. Some of those losses will be in the form of tax revenues. Whatever total the Mega Millions brings in for the state, it will only be part of the equation. Why is insurance such a difficult concept? What if Maine produced all of its own food? Do video games have a liberal bias? Who needs to spend $20 for a microphone stand?